The year began with Virgil Scott’s annual Musician’s New Year at the Hollywood on Queensway. It’s always a fabulous reunion for those of us who used to see each other all the time in the old days, when the music biz was hot, and lucrative. Virgil Scott, Steve Ambrose, and me – singing our hearts out at the Hollywood on Queensway. 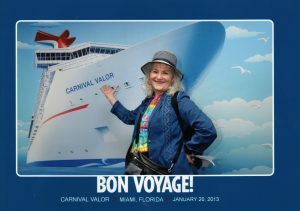 In February, I went on my first vacation in years – went on a “Uke Cruise” on the Carnival Valor, with a few of my uke pals. What a beautiful ship. 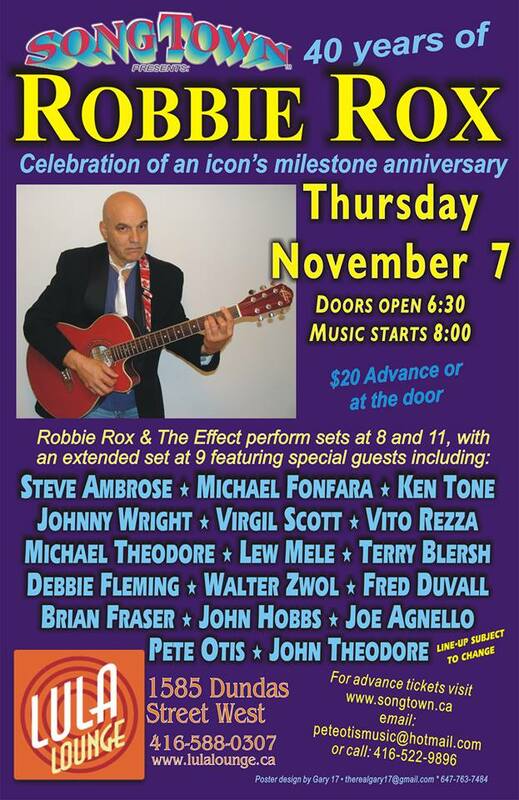 In May, 2013, I reached a new decade of my life, and celebrated by giving a special concert at the Dominion on Queen. 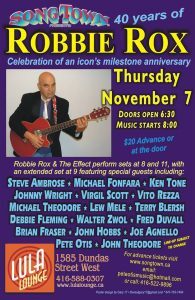 The band, led by Bill King on keys, consisted of tried and true friends I’ve worked with for years, which made it very special. 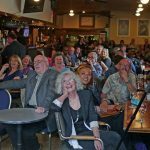 The friends who showed up to celebrate with me were myriad, and there were some fabulous performances by Sam Broverman, Suba and Dylan, Grant Slater, and MANY more. A surprise birthday greeting by one of my favourite musicians of all! Friends and followers at my Big Birthday Bash! 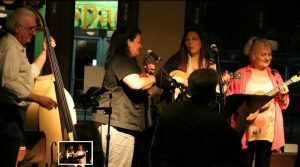 Wednesday evenings, I try to attend as many uke workshops as I can. We have a load of fun, and learn a lot! 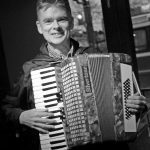 Richard Bales backs up The Buttertarts – Jessie Cole, Heather Katz and me – It’s Raining Men! Still singing in the choir, but not happy to have been moved to Sop.2, when High C’s still come easy. Ah well, it’s worth it because of all the beautiful music we get to sing together. 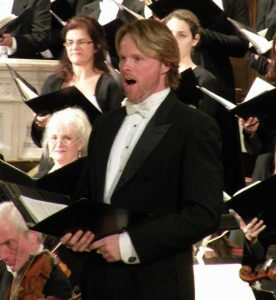 I’m sitting behind Colin Ainsworth, who sang beautifully in Britten’s St. Nicolas. 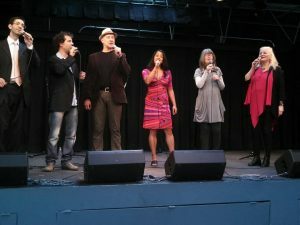 It was such a pleasure to reunite six of the original singers in Jazz Report Award winning Hampton Avenue, to do a 30 minute set at SING, Toronto Vocal Arts Festival. Hampton Avenue 4 members Tom Lillington, Dylan Bell, Suba Sankaran and Debbie Fleming reunited with Larry Folk and Judy Tate to sing some luscious 6 part arrangements such as A Quiet Place(originally recorded by Take 6). Tom Lillington, Dylan Bell, Larry Folk, Suba Sankaran, Judy Tate, Debbie Fleming – exquisite harmonies. 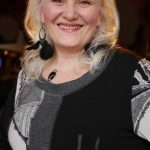 Pat Murray found a lovely restaurant on the Danforth – 417 – to host a jazz jam on Tuesday evenings. 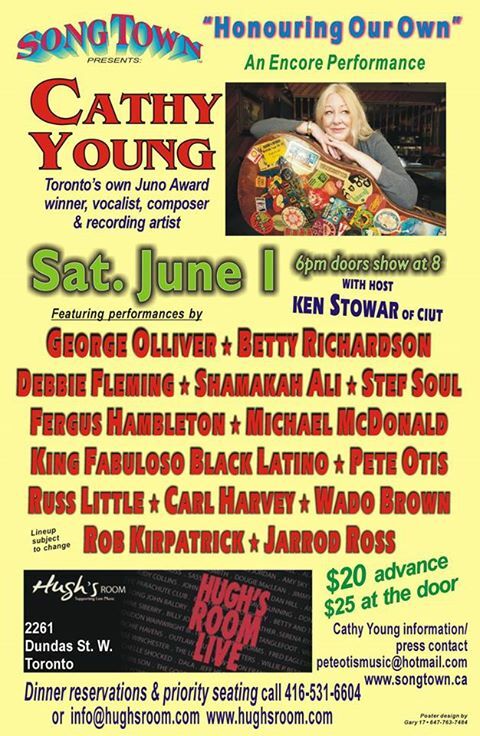 It became a gathering place for some of Toronto’s finest musicians and singers for the summer months. Unfortunately this restaurant didn’t last long – it was perhaps too high-end for the funky Danforth. Pat Murray and Debbie Fleming at the beautiful 417 on a summery Wednesday evening. 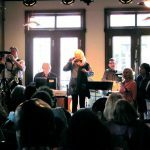 Singing with George Koller and Lowell Witty at 417 – heaven! 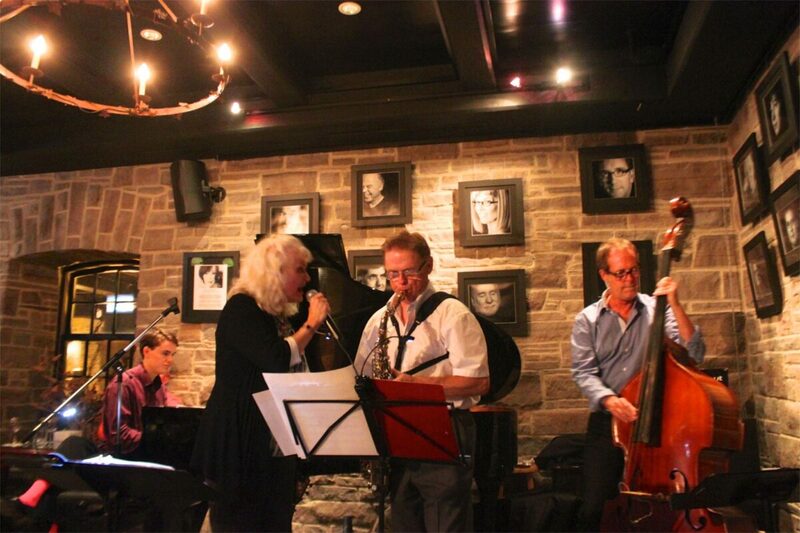 In October, Debbie hosted “Party Night” at the beautiful Homesmith Bar, at the Old Mill Spa in Toronto’s west end. 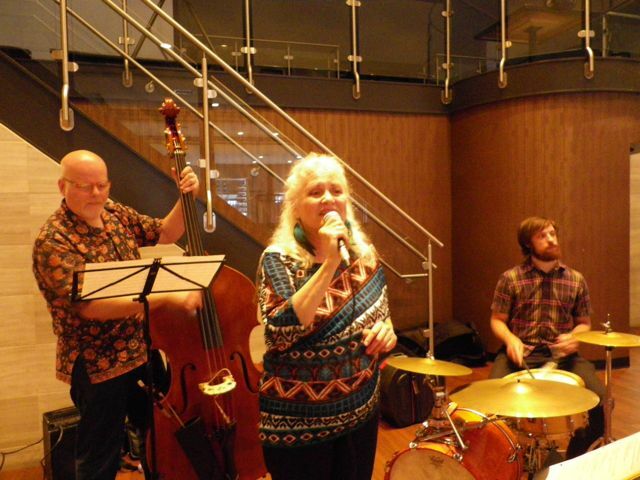 Backing her were John MacMurchy, Russ Boswell, and the gifted young pianist, Ewen Farncombe. What a BAND. 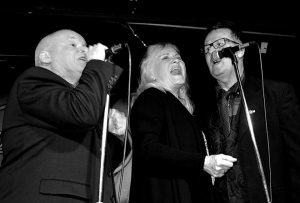 What fun we had at Hugh’s Room. Cathy OWNS the stage! 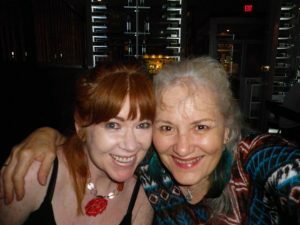 In November, Debbie was invited to be the one tiny bit of estrogen, as part of the celebration of Robbie Rox, at the Lula Lounge. She sang backups, and a couple of feature numbers. An evening to remember. Robbie Rox is a great singer, writer, and friend. We go a long way back. A continuous thread in my life is doing vocal and instrumental arrangements for the uber-talented Ault Sisters. 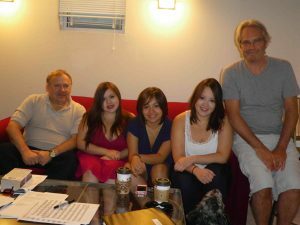 This year they recorded an album, of nearly all my arrangements. 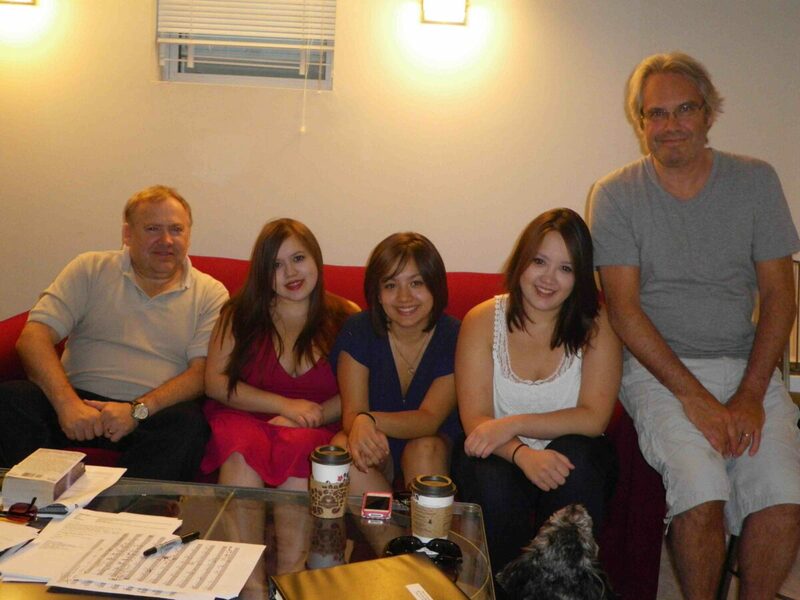 I was in the studio to coach them a little, while they recorded. Love these ladies! !